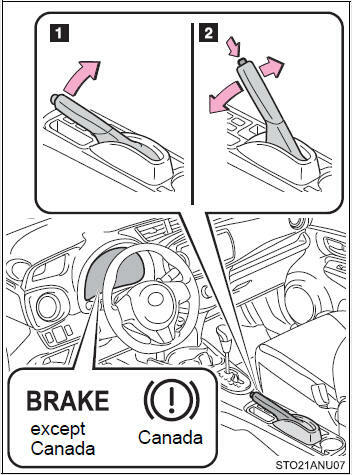 To set the parking brake, fully pull the parking brake lever while depressing the brake pedal. To release the parking brake, slightly raise the lever and lower it completely while pressing the button. Fully release the parking brake. Driving the vehicle with the parking brake set will lead to brake components overheating, which may affect braking performance and increase brake wear.